Last week when I was journaling in my planner about September 11th being the 15th anniversary to the terrorist attacks I knew I wanted to create a divider for the event. With something this huge I didn't feel like a small square with a few lines would be "big" enough. 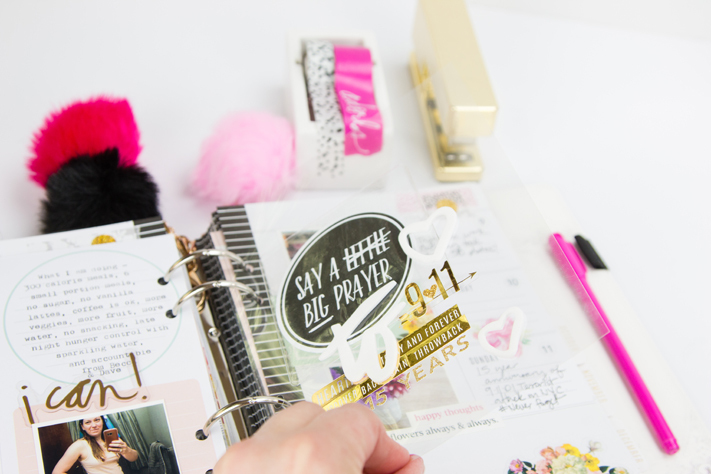 To create this page, I used a piece of clear acetate and cut it to size. 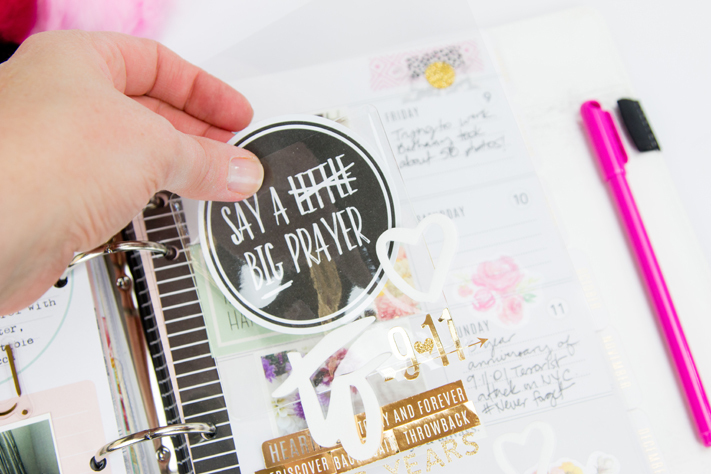 It was then easy to add a clear adhesive pocket to the top to slide in the Illustrated Faith Die Cut. I then started to layer stickers over top of the clear page. It was nice to be able to see my journaling through the page, but also let the memory of the day be showcased more. Here's what the page would normally look like without the divider. It looks like a normal three days at our house. I like how the divider reminds me to stop and pray for our country. Have something big to remember? 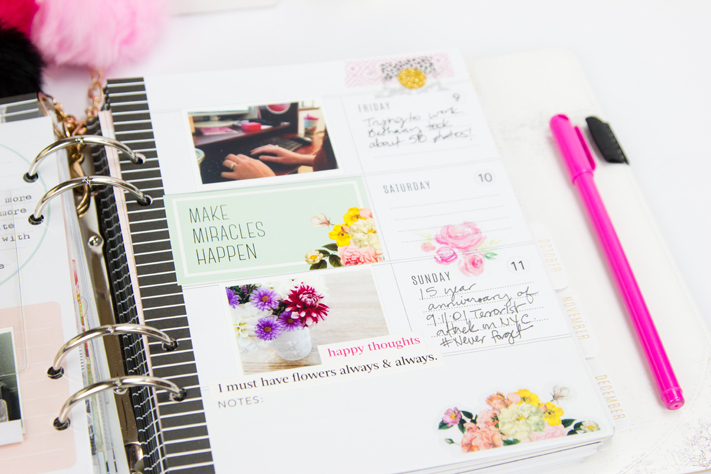 Create a stand out page to find it easily again in your planner.